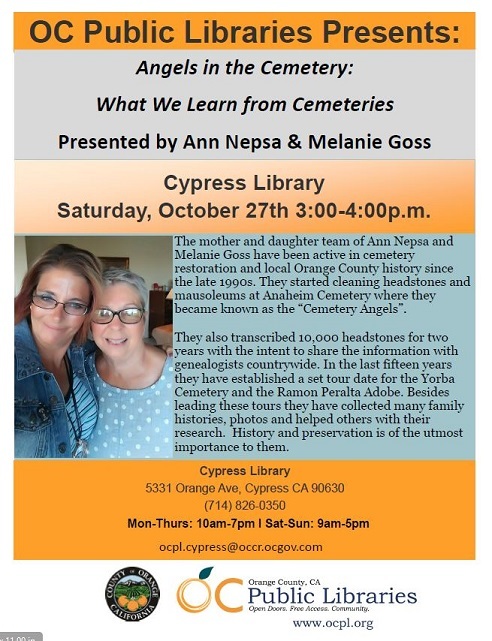 The mother and daughter team of Ann Nepsa and Melanie Goss have been active in cemetery restoration and local Orange County history since the late 1990s. They started cleaning headstones and mausoleums at Anaheim Cemetery, where they became known as the “Cemetery Angels”. They also transcribed 10,000 headstones for two years with the intent to share the information with genealogists countrywide. In the last fifteen years, they have established a set tour date for the Yorba Cemetery and the Ramon Peralta Adobe. Besides leading these tours, they have collected many family histories and photos and helped others with their research. History and preservation are of the utmost importance to them. In the Cypress Library Program Room. 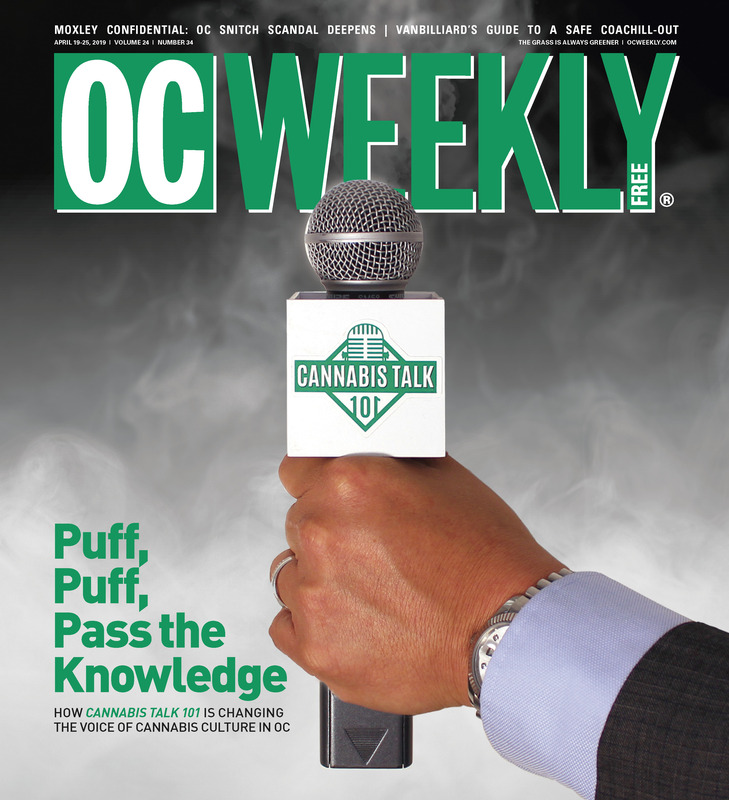 Please call the library at 714-826-0350 for more information.